Enjoy a thermal relaxation in Gellert Spa with improved services such as fast track entries and advance bookings of spa treatments with a special check in at the renewed Help Desk, dedicated to all of our online customers, exclusively. 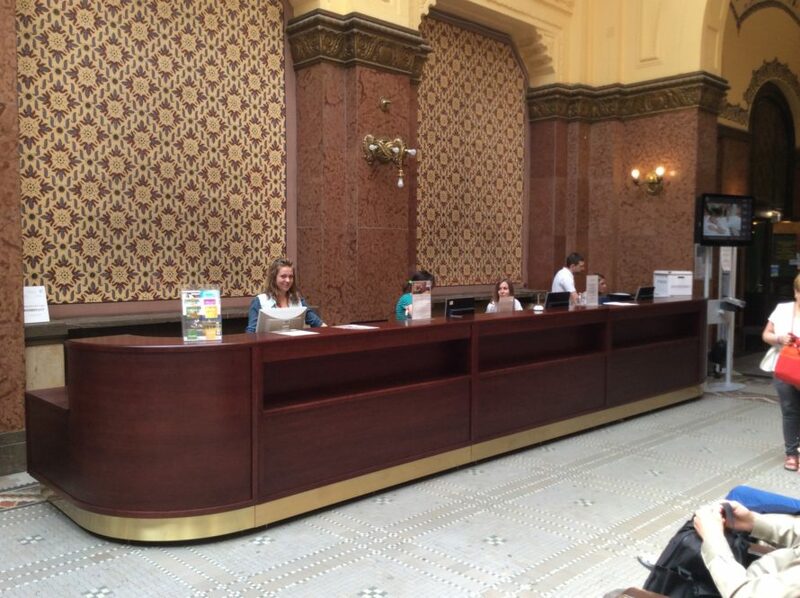 The Help Desk is a priority check-in point for guests who have pre-booked bath tickets. It means a fast track entry service, so if you book your ticket or massage online, you don’t have to join the lines at the cashier, just approach the Help Desk with your printed email confirmation. 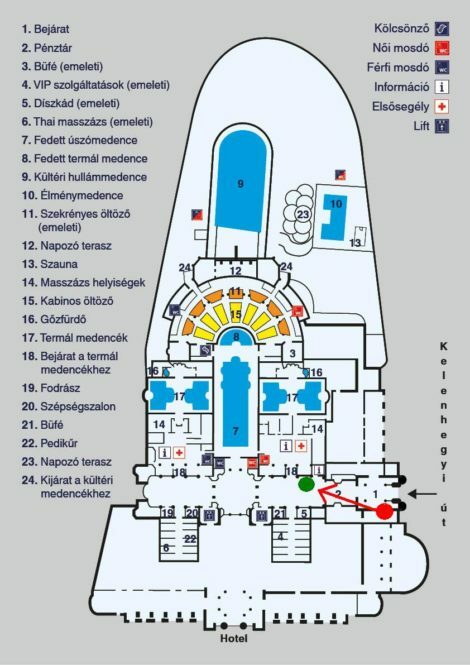 After check-in your thermal bath e-ticket will be exchanged with a waterproof wristband, which will be your actual chip enabled key to your cabin as well (the wrist watch style silicon band includes a little chip). All of the massage packages in Gellert Baths include the bath entry with fast track, skip the line access to all the pools, saunas, steam rooms, and of course your very own private area, the bath cabin used for storage and getting changed. 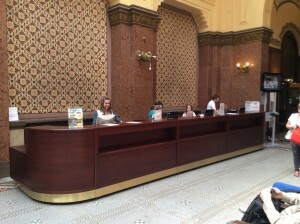 How to find the Help Desk of the fast track entries and online reservations? The Help Desk (green dot on the map) can be approached from the Main Entrance (shown with a red dot in the map). As Gellert Bath has its own entrance, independent from the entrance of Hotel Gellert, the best way to find us easily is to stand with your back to the river Danube, and enter the Gellert building on the right hand side, by the Gellert Hill. 9 am – 6 pm every day. Your ticket is valid from 9 am to 8 pm for the requested date. Hello! I’m very much looking forward to trying the Gellert baths, but unfortunately my partner does not swim. Is it possible for him to sit beside the pools whilst I swim? Do I purchase the same ticket as myself for his entry? no worries, thermal pools are not for swimming but for relaxation. They are not deep at all, so he can enjoy the pools even if he does not swim. The only pool which is deep is the outdoor (cold) swimming pool. There is no price reduction is someone is not wishing to enter the pools.